You are at:Home»Media Articles»Does trophy hunting really benefit conservation and local communities? Every year, thousands of tourists visit South African private nature reserves to see wild animals in unspoilt surroundings. But how many of these travellers know that some of the most luxurious safari destinations and self-declared champions of conservation also allow these iconic animals to be killed by trophy hunters for ‘sport’? 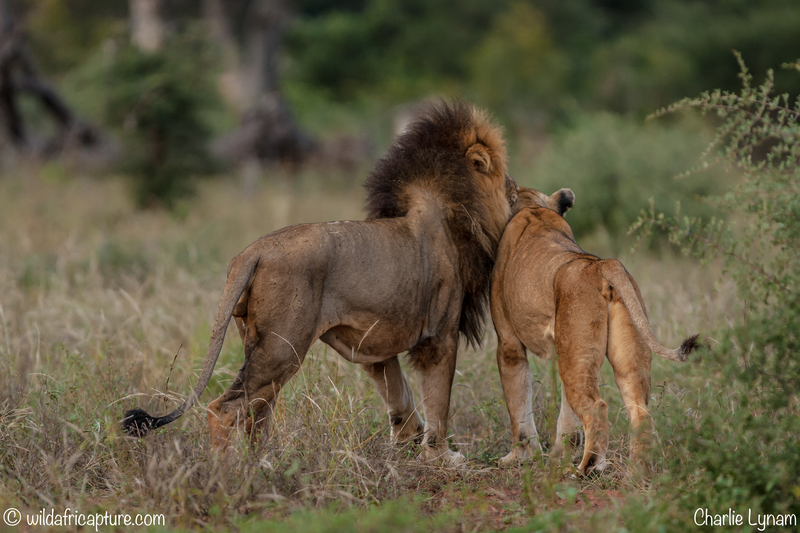 Exclusive private nature reserves such as Timbavati, Umbabat, Klaserie and Balule on the western boundary of the Kruger National Park claim that they need the income from trophy hunting to remain viable. Don Scott, co-owner of the Tanda Tula tented camps in Timbavati, bemoans the fact that as a non-profit organisation they receive no government funding and have to bear the full cost of running the reserve. In doing so, he neatly sidesteps the fact that while the reserve itself may be run on a not-for-profit basis, the expensive tourist and hunting lodges located within its borders most certainly are not. Why should private land and lodge owners not pay full operational costs to support their profitable enterprises? Besides, reserves such as Timbavati draw enormous benefits from being physically connected to the vastly larger ecosystem of the adjoining national park. Fences between Timbavati and the Kruger National Park were removed in 1993 and the considerable profits in access, prestige and natural services the private reserve derives from this connection are difficult to estimate in financial terms and greatly outweigh the onus of having to pay for running costs. Far from not getting subsidies, Timbavati, in effect, continuously receives contributions from a publicly owned entity. Scott points out that Timbavati “relies on income generated from two forms of sustainable utilisation — photographic tourism and trophy hunting”. He appears surprised that by raising the conservation levies charged to Timbavati’s photographic tourists, the reserve has recently been able to significantly increase the proportion of revenue generated in this way, compared with trophy hunting. This is hardly a groundbreaking revelation. Private nature reserves throughout Africa have long managed to run financially sustainable operations without having to rely on income from commercial hunting. Many of the high-paying visitors to reserves such as Timbavati would undoubtedly be willing to pay conservation levies that would guarantee that no trophy killing happens at their chosen holiday spot. Scott himself notes that Timbavati’s conservation levies are less than a third those charged in other parts of Africa. He writes that “it would be a great achievement for the conservation levies to, one day, fully cover the operational expense budget of the Timbavati”. Given that many others have demonstrated that this is possible right now, why can’t that “one day” be today? Perhaps it is time for reserves such as Timbavati to acknowledge trophy hunting for what it is: A hugely profitable indulgence for a super-rich elite obsessed with adding as many exotic stuffed animal heads to their collection, rather than a necessary income stream for landowners. So what’s on Timbavati’s “sustainable utilisation” menu for trophy hunters in 2019? A total of 68 animals representing 11 species, including 25 Cape buffalo, two hippo, three giraffe, three spotted hyena and, perhaps most controversially, 10 elephant. Umbabat, Klaserie and Balule provide similar offerings, including 37 additional elephant. While “environmental sustainability” and “conservation” are themes that are touted repeatedly in the marketing materials of these reserves, their active participation in commercial hunting puts them on the wrong side of a global consensus that has debunked the supposed conservation value of the industry. Assessing commercial hunting in South Africa, Namibia, Zimbabwe and Tanzania, a 2016 report by the Democratic Party staff of the US House Committee on Natural Resources concludes that “significant questions remain about whether or not trophy hunting is sustainable” even where it is comparatively well managed. Other studies demonstrate the detrimental impact hunting for trophies can have on African wildlife populations. In South Africa, commercial hunting has been marred by scandals involving the captive breeding of lions for canned hunts and a number of private nature reserves have come under fire for their trophy-hunting practices. In 2017, for instance, Timbavati was criticised for seeking permission to hunt an international-standard trophy tusker elephant, and in 2018, hunters in Umbabat shot dead a well-known pride male lion using bait, despite landowner requests not to kill this much-loved lion. In 2018 a professional hunter in Balule was convicted for conducting an illegal hunt in the reserve and killing a collared research elephant. Also in Balule later in the year, a hunter took 13 shots to kill a young elephant in sight of horrified tourists. Such activities are doing irreparable damage to South Africa’s conservation credentials and stand to cost the country millions in revenue from outraged tourists looking for an ethical holiday experience in the African bush. Yet another assertion made by the pro-hunting lobby is that revenues earned contribute to the economic development of rural communities in surrounding areas. In reality, such benefits are limited androutinely overstated by pundits. Instead of taking a proactive approach, reserves such as Timbavati seem to trust in a trickle-down theory of local economic development, suggesting that their mere existence will somehow lift locals out of poverty. The fallacy of this posture is confirmed by Martina Segage’s 2015 Masters dissertation, for which she surveyed 99 households in Timbavati Village, concluding that the adjacent reserve “is yet to contribute towards local economic development because its practice is devoid of community development principles”. Scott writes of “finding innovative ways to help local communities derive income from wildlife activities”, but the only planned benefit for the reserve’s neighbours he mentions for 2019 is the intention to donate the revenue earned from two commercial buffalo hunts. This, he suggests, will help to forge closer links with the reserve’s neighbours. In a place where some of the planet’s poorest people see some of its most wealthy enjoy the beauty of their ancestral homeland, this supposedly generous gesture would be laughable if the situation wasn’t quite so tragic.